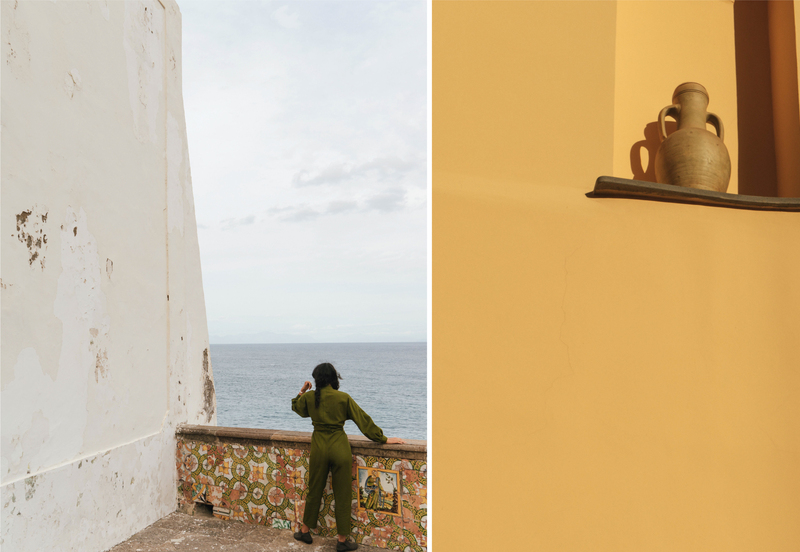 April spent the second half of 2018 traveling by herself, including three months in Ischia, a volcanic island in the Gulf of Naples where these photos were taken. At the time she was on the heels of transition, having decided to divert from her "planned" path to live and work and New York. Below, we discuss some learnings from time spent alone — how gratitude takes form, when to surrender, how to be both boldly ambitious yet humble enough to know when to let it go. One final note: we speak here about “personal projects,” which I define to mean anything that allows you to feel suspended from time or obligation, ignited with a curiosity and sense of ownership — reading, writing, movement, connecting with your community, cooking, song, dance…more stories grounded in the different, specific ways women both connect to the self (and in doing so are able to be present for all the others around them) coming soon. On personal projects — Sometimes (to me at least) it can feel very self-indulgent to bury myself in “personal” projects especially when they have no clear payoff in the end. Do you have similar roadblocks? Or can you share more of a glimpse into the why behind your “personal” work? I’ve learned, through a lot of trial and error, that success is a personal journey and what works for one may not work for another. I must live my own truth...individual truth at its core, is one of the most human experiences. We connect to others from this. I moved to New York City when I was 21 and so eager to “have it all!” Coming from a sleepy town in Arizona, I was devoted to leaving my country roots behind and embracing everything the city had to offer. I wore many hats, tried every job: waitress, assistant, studio manger, set designer, event planner, model, more assisting, documentary photographer, yoga teacher, prop stylist, built a company then put it on standby, built another one and watched it fall apart, found some success and met failure with resentment. For awhile, I assisted incredibly talented photographers and stylists in New York. Being surrounded by successful creatives shaped my then-concrete beliefs of what success meant and how to achieve it. The concept of success was built on a foundation that was never my own…it was nourished by my out-of-balance ambition, how my mentors lived and the overall culture of the city. New York quickly taught me that happiness meant more money, bigger clients, and perpetual validation. It left me feeling confused and the opposite of abundant…I went into a spin wondering how everyone around me appeared to “have it all” yet they still felt it wasn’t enough. I was out for dinner with photographers I assisted when the conversation of my future came up. I would need to choose between a fine art career or a commercial one. I wanted to exist between the two and still be able to have travel, make textiles and have side projects. A fine art career was a hard road and not everyone “made it.” A commercial career paid the bills and granted a coveted New York lifestyle. But eventually one loses touch with their personal projects and the body falls into robotic patterns. The heaviness of my career having to go one way or the other, lack of time and feeling exhausted before I even started… well, this was a crucial turning point for me. This revelation came around the same time I experienced a great loss in my life. I sold everything in my studio and apartment, packed a bag and headed for Mexico. That is where I first tapped into what it meant to be me. My curiosity was reignited. From my time in Mexico, I learned that my personal travel and projects would fuel everything else in my life. Personal projects keep me connected to the unknown. I’ve sat with my fears and convictions through my flower photo series. 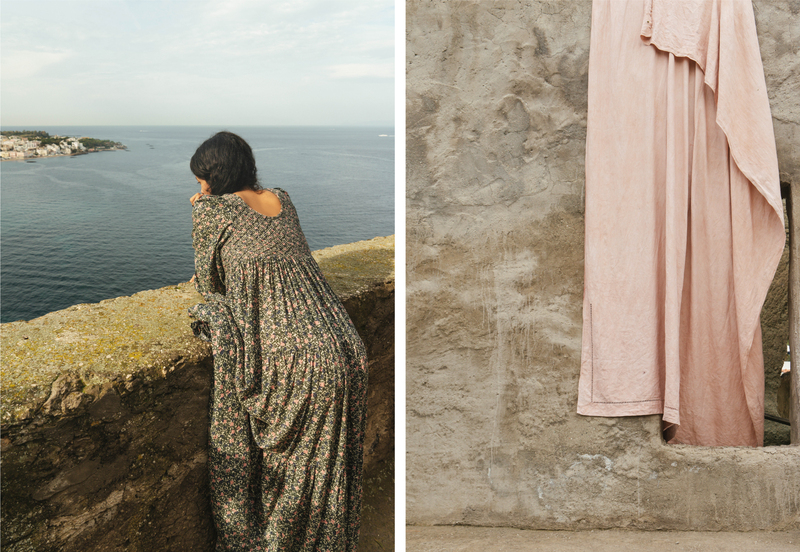 I’ve relived moments by the sea and envisioned new ones through dyeing fabrics and making quilts. Keeping a personal practice helps me move through my fears about time. I want moments to last longer and I can’t be rushed. I can get things done fast, but when my process feels hurried, I get thrown off balance. The luxury of time isn’t always available when I'm working on [commercial] photoshoots. Knowing I have freedom and time available, even if not in that moment, keeps me flexible and patient. You mention that you left your trip with a renewed sense of gratitude: can you dig deeper into this? How does this gratitude look, manifest? Especially at the start of a new year I think it’s so important to look to the future with humility. It is hard for me to sit still. I had never given myself time away to stay put and live by my own terms. I wanted to work on personal projects… a big one was sitting down and devoting time to my book. I read “The War of Art” and “Creative Fire.” Both of these books jump-started my trip and helped me break through resistance. 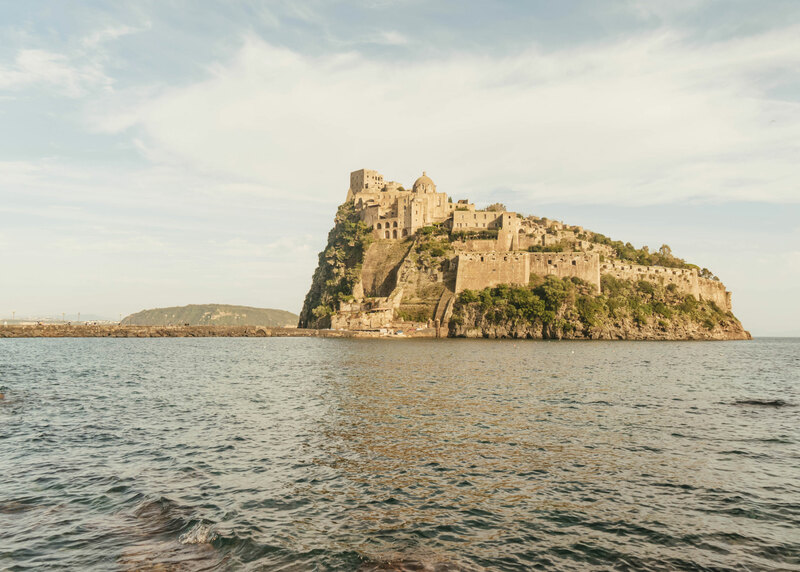 I spent three months on the island of Ischia, by the sea. I knew I needed to go but I wasn’t sure why. I have a dear friend there who has become family. I told myself I was going to photograph their harvest and possibly island hop, but so much more came from the trip. I needed to feel removed but still have people I love near me. The time alone taught me to sit with all my feelings (not only the exciting ones), to show more love and compassion to myself and others and move through loss and regret. The time with people I love taught me to be more present. 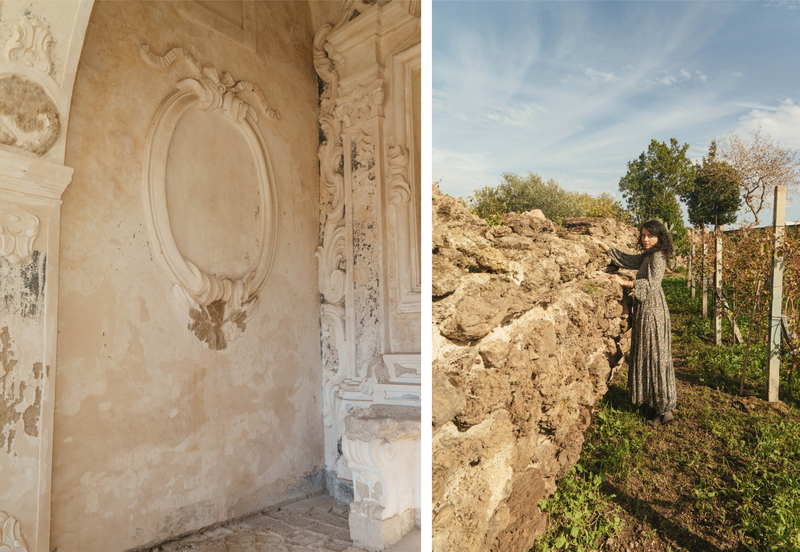 I was living in the stone house by myself for about two weeks when one night I was woken up by thunder; it felt as if the stone house moved from the sound. A true roar from the earth. I stood on the patio and watched lightening light up the sea. It was so bright and expansive. Bolting down, it appeared to touch the water, almost meeting the ocean floor. I felt the wind pressing against me and I stood there crying. I can’t explain why. It was joy, sorrow, goodness, loss, regret and lightness all in one…a feeling of being more than just a human in a place. The whole experience left me with a wave of gratitude I haven’t experienced before. I want to carry this feeling with me, to hold onto the memory of gratitude. Are there any quotes or words from others that have been recently resonating? What moments make you feel vulnerable? Or perhaps what does your relationship with vulnerability look like? I had an incredible dance teacher who told me it was okay to speak through movement. That was revolutionary for me. I have always kept a journal but on the other hand I’m very private and super internal. I live in my head and have a hard time expressing my feelings. I was always known for my outgoing personality, for making other people feel good. It was a role I was comfortable with and played well. After the passing of my brother, I couldn’t play that part anymore and I felt ashamed. I battled with vulnerability like a illness. It tried to come out in every form and I held it back with a force… I worked endlessly, I turned off the parts of me that were hurting. I convinced myself crying was weak, and I was strong, so I didn’t cry. The actual truth was…crying gave me strength. It made me surrender, crack open, and forced me to rebuild. My relationship with vulnerability now is the mantra: “I am” … and whatever "I am," I strive to meet it with compassion and love. New Habit: Meditation. This is a must for me. I often meet meditation with so much resistance. I want to jump into the day with coffee, emails or a run, but before I know it the day is over and I haven’t mediated. So now my new habit is to do it first thing in the morning for twenty minutes. New belief: Genuine, enduring freedom can only come from within yourself. New behavior: Solitude, time alone, stillness.